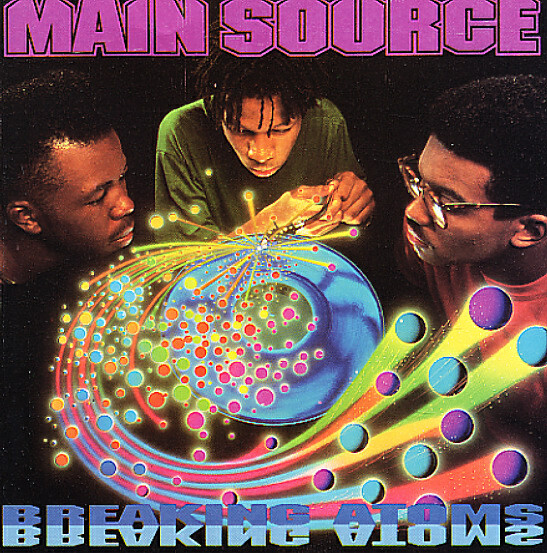 A record that no hip hop home should be without – the one and only album from Main Source, but a set that's more than strong enough to stand next to the best from contemporaries like De La Soul, Tribe Called Quest, and Black Sheep! Like all three of those groups, these guys have a way of bringing together fresh rhythms and samples, sharp-edged writing, and a keen sense of wit – all part of that next-generation level of intellectual hip hop that made them so groundbreaking at the time – and which still makes this album a fantastic delight all these many years later! The album introduced the world to the genius of Large Professor – and continues to shine for decades, thanks to tunes that include "Snake Eyes", "Looking At The Front Door", "Live At The Barbecue", "Just A Friendly Game Of Baseball", "Peace Is Not The Word To Play", "Watch Roger Do His Thang", "He Got So Much Soul (He Don't Need No Music)", and "Just Hangin Out". Features bonus tracks "Time", "Fakin The Funk", "Fakin The Funk (Kobakov & Good The 6 rmx)", and "Peace Is Not The Word To Play (rmx)". © 1996-2019, Dusty Groove, Inc.